Welcome to Nationwide Office Liquidators! When a business decides to buy new furniture, move to a new location, or leave an office space for other reasons, we help move all that excellent office furniture to new owners. 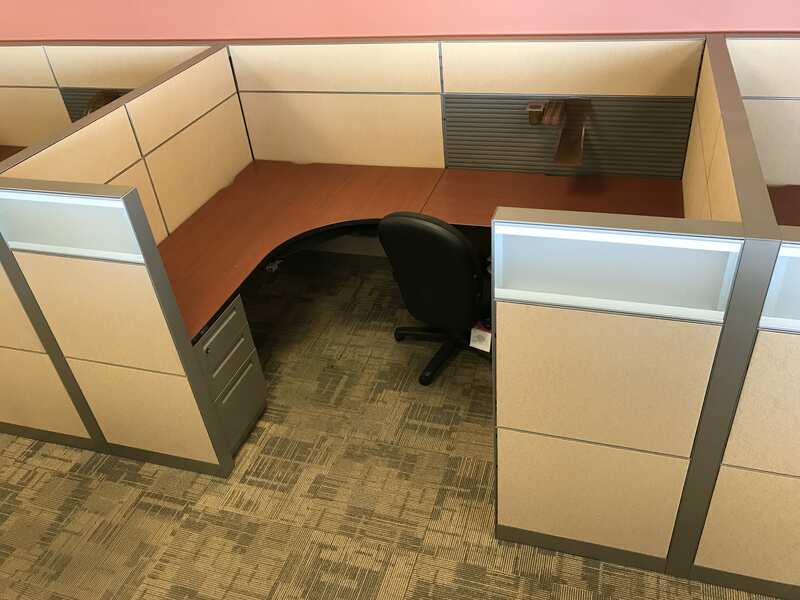 We find offices that are upgrading or otherwise selling their office furniture, and clear it out — anything from a few cubicles to entire office complexes. We then resell it to quality office furniture dealers nationwide. Everyone wins: the former owner turns a liability into an asset. The new owners benefit by getting quality office furniture at a great price, which lets them invest their money back into the business. And it’s better for the environment. Looking to buy some office furniture for your dealership without breaking your budget? Simply contact us with what you are looking for! 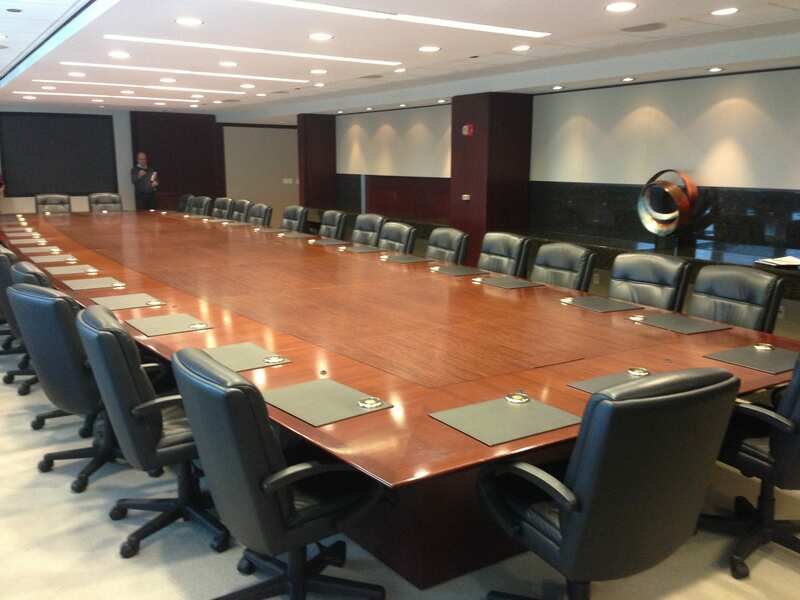 This amazing 8-floor law firm liquidation in Baltimore is filled with top-of -the-line furniture by Knoll. 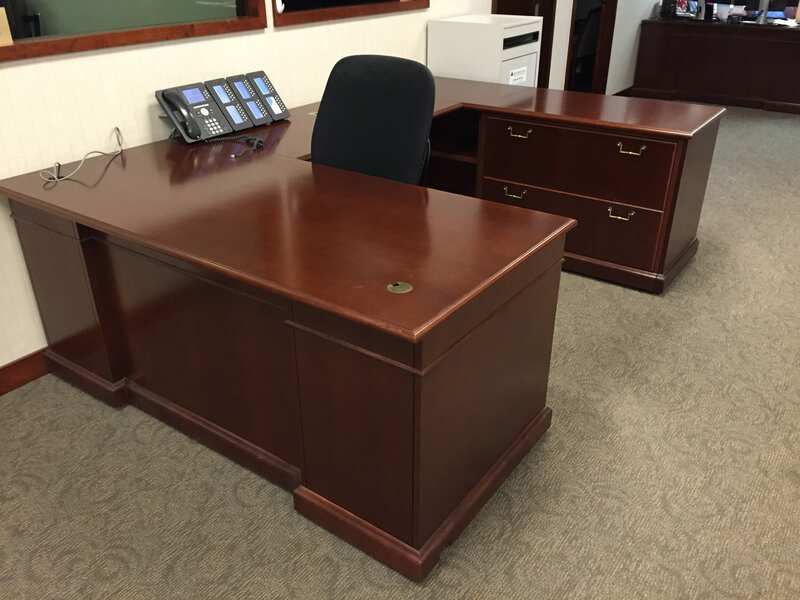 These Steelcase Traditional U-Shape wood desks are as elegant as they are functional. NOL has (40) beautiful Allsteel 8 x 8 workstations. Available last week of June. Lots of glass. Super clean.$400.00 per station loaded price with packing materials included.